If you had driven down the Blue Hill Peninsula 10 years ago, over the winding two-lane road edged with stones, past the mist-covered yards stacked with neon-bright lobster traps, all the way to Stonington, at the southern end of Deer Isle, you might have happened upon Geoffrey Warner happily making one-of-a-kind wood furniture in his roadside gallery. Built on commission, his sinuous dining chairs and bold, live-edge coffee tables were shipped to wealthy clients in Philadelphia and New York as new orders rolled in by word of mouth. Warner followed through and thrived, crediting his success in part to a serendipitous mistake: While carving out the depressions in a seat form designed to alleviate pressure on the ischium, or sit, bones, Warner went right through the wood, forming two holes. But instead of trashing the seat, which resembled the head of a wide-eyed owl, he took it to a local chiropractor, who recommended some adjustments. The result was a stool so uncommonly comfortable that users found they just naturally sat up straight. Some customers — many of them chiropractors, nurses, and other healthcare professionals — even reported that switching to the stool relieved their chronic back pain, so Warner sought and received a Maine Technology Institute grant to fund an analytical study. US Ergonomics, a laboratory that does ergonomic product testing, found that Warner’s Owl Stool eases the pressure on the sit bones of most people, reducing the need to constantly shift positions and slouch. Inspired by that report, Warner’s latest entrepreneurial brainstorm is to market the stool to healthcare and business professionals. The Pro Owl is a patent-pending model with a rolling base and adjustable height for people who need to scoot around while seated. “I spend a lot of time figuring out how to take the company to the next level,” Warner says. 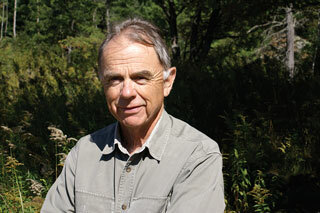 “How are we going to sell a thousand stools a year instead of a few hundred?” He sought advice from Tom Gallant of the Maine Small Business Development Centers on how to break into the dental market, hired a national sales manager, and is networking with other American ergonomic furniture designers. 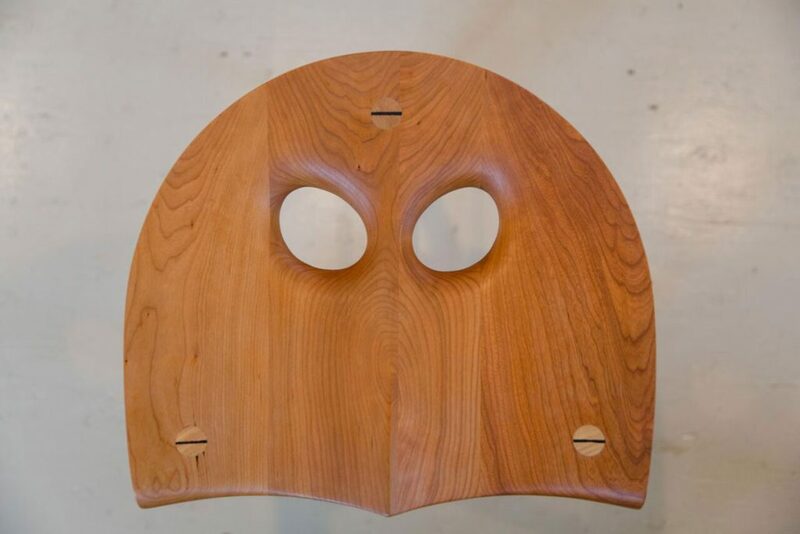 Owl Furniture is also setting its round eyes on Florida, where a woman who teaches kayaking to seniors has been using the stools in her boats. 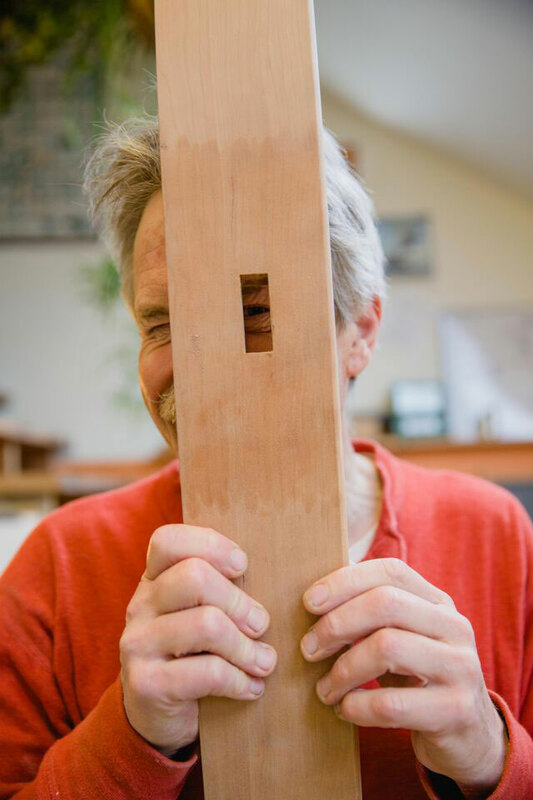 Warner’s Stonington workshop is full of Owl Stool prototypes and tools of the woodworking trade. The one-time protege of midcentury modern designer Tage Frid runs the enterprise with just one other full-time employee. To keep up with demand, Warner has built a new space for shipping, packing, inventory, and finishing, and he travels with his stools and other pieces to about a dozen fine craft and industry shows a year. He intends to keep the grassroots end of the business intact. He brings his lower-price-point ($360–$395) Owl Stools — the three- and four-legged Classics and the OM Meditation Stool — to area farmers’ markets, food co-ops, and other places where health-conscious types gather, and calls this “guerrilla marketing: creative, fun, whimsical, and no-cost.” He also sells a do-it-yourself kit for $195, and offers workshops in which students can build their own Owl Stool in one day. 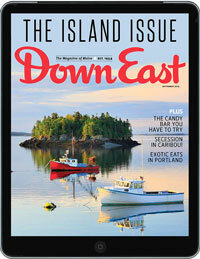 Subscribe to the digital version of Down East to get the best of Maine travel, culture, food, and homes & gardens delivered each month to your tablet. Plus you’ll get a first look at the online extras! Buy this issue only or try it for six months for just $12.99. Arielle Greenberg is a poet and author of creative nonfiction. She lives in Belfast.